Mabel K. Hicks, 92, of Topeka, passed away Thursday, January 31, 2019. 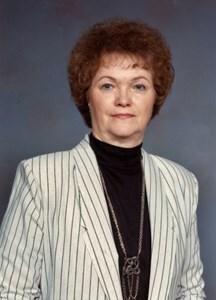 She was born March 13, 1926 in Hartville, Missouri, the daughter of Charles and Iva E. (Bennett) Perkins. Mabel graduated from Mountain Grove High School in 1944. In Wright County, Missouri, she taught all eight grades in the Robinette one room school for one year. In Mountain Grove, she worked for the Brown Shoe Company. Mabel had resided in Topeka since 1947. She was employed by Hallmark Cards, General Printing, Cappers and then later for Stauffer Publications for fifteen years prior to retiring. She was also an Avon Representative. She was a member of Northland Christian Church and the AARP. Mabel loved to travel, having vacationed with her husband in 47 states. Mabel married Jesse H. Hicks on April 27, 1946 in Evening Shade, Arkansas. He preceded her in death on December 31, 2017. She was also preceded in death by her siblings; Fred Perkins, Edward Perkins, Ira Perkins, George Perkins, Ruth Franklin and her half-siblings; Raymond Quesenberry, Eva Denton and Ella Scott. Mabel is survived by many nieces, nephews, great-nieces and great-nephews. The family would like to thank the staff at McCrite Plaza for their loving care. Services will be held at 10:00 a.m. Monday, February 4, 2019 at Dove Southeast Chapel, 2843 SE Minnesota Ave. where the family will receive friends one hour prior to service time. Burial will follow in Topeka Cemetery. In lieu of flowers, memorial contributions may be given to Northland Christian Church, 3102 NW Topeka Blvd., Topeka, Kansas 66617 or Midland Care, 200 SW Frazier Circle, Topeka, Kansas 66606 or to the organization of the donor’s choice. Add your memories to the guest book of Mabel Hicks. So sad to see the last of the Perkins children pass away. Mabel was a very special person as was Jesse. So sorry for the family's loss. The picture of Mabel is the way I will always remember her when I worked at Capper's Weekly. She worked in the Insurance Dept and I worked in the Correspondence Dept. We visited on breaks etc usually every day and I enjoyed visiting with her a lot. I loved her Missouri accent. It has been a lot of years since I have seen her. I went to work for the State of Kansas in 1977 so that would have been the last I seen of her. I often wondered if she was still in Topeka. I know she will be missed by all who knew her. My thoughts and prayers are with you at this difficult time. May God watch over all of you.